War, huh, yeah. What’s it been good for? Absolutely nothing. Apart from, perhaps, shaping practically everything hanging in the male wardrobe today. The 20th century’s conflicts may have been entirely undesirable, but it’s possible that without them, men would still be trapped in a sartorial straitjacket. Crew neck T-shirts, chinos, bomber jackets; all infiltrated fashion from the front line, and few are showing any signs of retreating, but there was a time when the two were interdependent. “It’s more of a two-way street than people realise,” says Amber Butchart, style historian and lecturer at The London College of Fashion. “Centuries ago, when military uniforms were standardised, most of the design came from the fashionable cuts of the time.” The flipside of this was the inspiration those military adaptations then gave back to designers, in New York, Paris and London. Maybe it’s the timeless, functional nature of the garments that so appeals to men. Perhaps it’s the associations with heroism. Either way, it’s hard to go wrong with military clothing. Which is why enlisting these battle-dress staples is mission critical for your wardrobe. Men’s fashion and military clobber have been close allies for so long that the origins of individual pieces are sometimes murky. 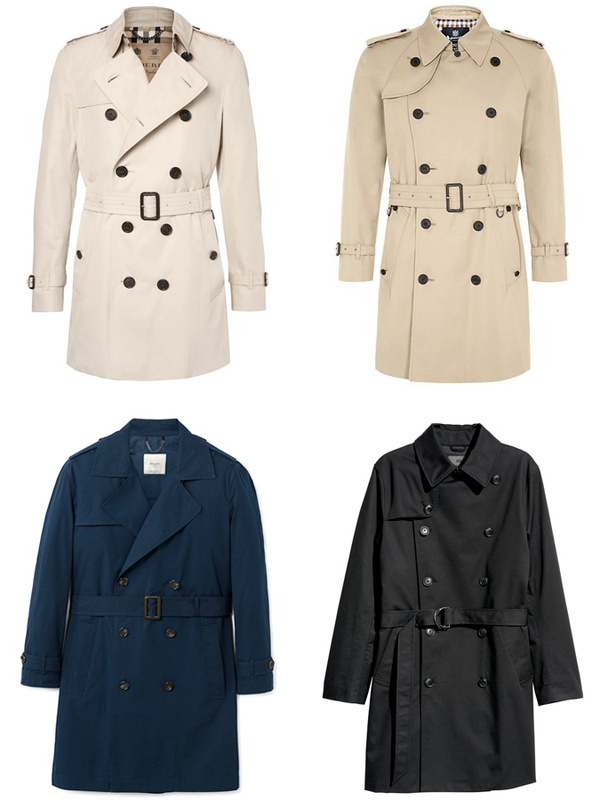 As is the case with the trench coat, with fellow countrymen Aquascutum and Burberry both staking a claim. Today the sleek, belted silhouette is considered a luxury essential and as such has spawned many variations, including long and short cuts, single- and double-breasted, and even modern colour-pop styles. It’s hard to imagine what life would be like if arguably the most iconic menswear item in the world remained nothing more than an undergarment. 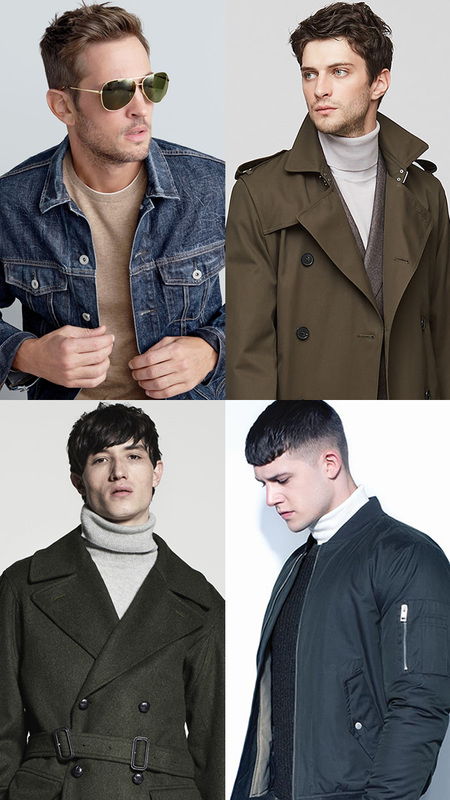 “It’s not so much a trending piece as a perennial relied upon by many,” says Henry Wilfrid, a men’s stylist who has worked with brands including Tom Ford, Dunhill and Reiss. The most classic version of the T-shirt, a short-sleeved white cotton crew neck, first sprung to life as standard issue schmutter for the US Navy and later the army in the 1910s. When the war ended, tens of thousands of soldiers took the fashion home with them. Brando, Dean, Beckham. The rest, as they say, is history. Ever since man first took to the skies, watchmakers have been working hard to create a ticker to help him land at his destination on time. 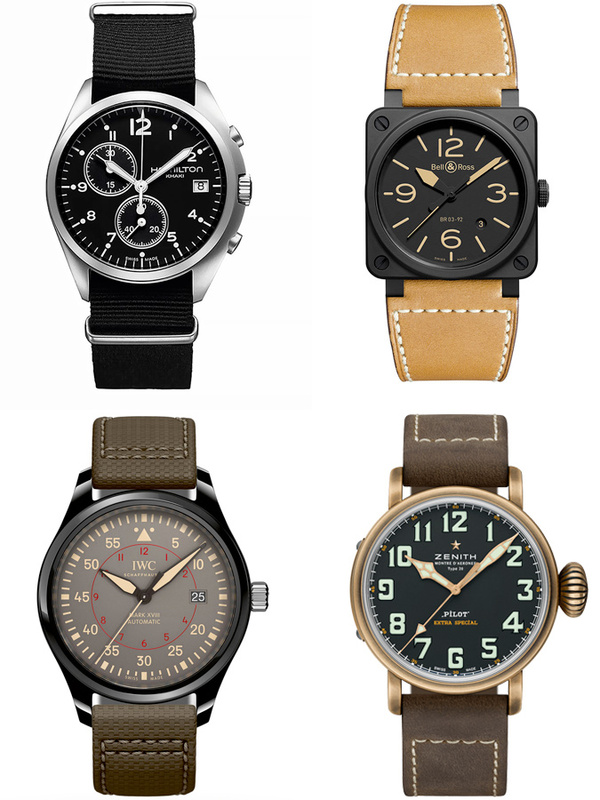 One of the most popular choices on the market, the best pilot’s watches are chronographs with features such as unidirectional bezels, lumed hands and are flanked by either a leather or nato strap. Like most military clothing, the bomber jacket was originally developed as utility wear, designed to keep pilots warm in cockpits so rickety and thin that freezing was as much a risk as being shot out of the sky. 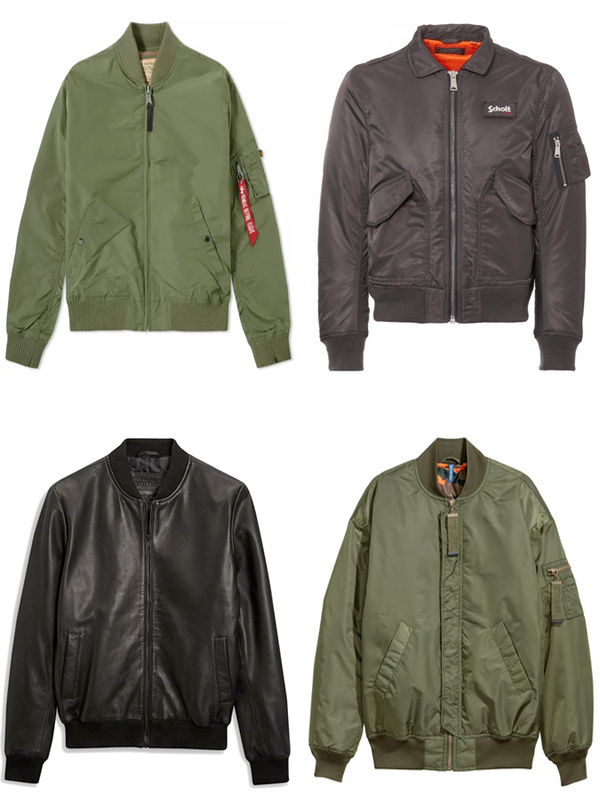 Early styles were cut from heavy-duty leather and lined with insulating sheepskin (more closely resembling what is now known as an ‘aviator jacket’), but today it’s more common to see the nylon MA-1 model flying up and down runways. 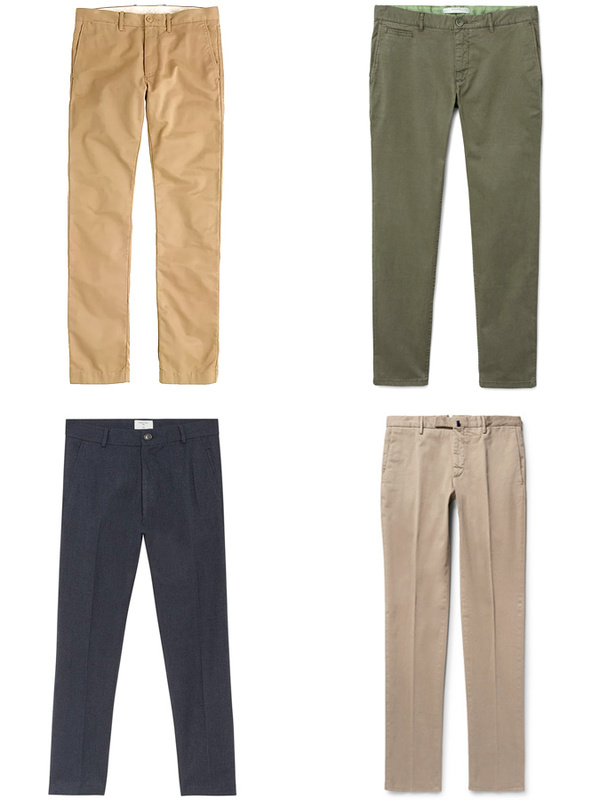 When it comes to trousers that sit slap bang in the middle of smart and casual, you’d be hard-pressed to find a pair that fit the bill better than chinos. “Before landing on college campuses across the US in the mid-20th century, chinos were built for battle,” says Chris Gove, creative director of British menswear brand Percival. Developed from khakis, which were created as a way to camouflage British troops stationed in India, chinos came crafted from pure twill cotton in a sandy, light-brown shade to provide a hard-wearing and comfortable means of going low-profile during war in dusty places. While stationed in Burma in the 1940s, a young Nathan Clark clocked the comfortable suede boots worn by off-duty officers and did what any sane, budding fashion tycoon would have. He said “I’m having that” and went home to put the footwear into production. 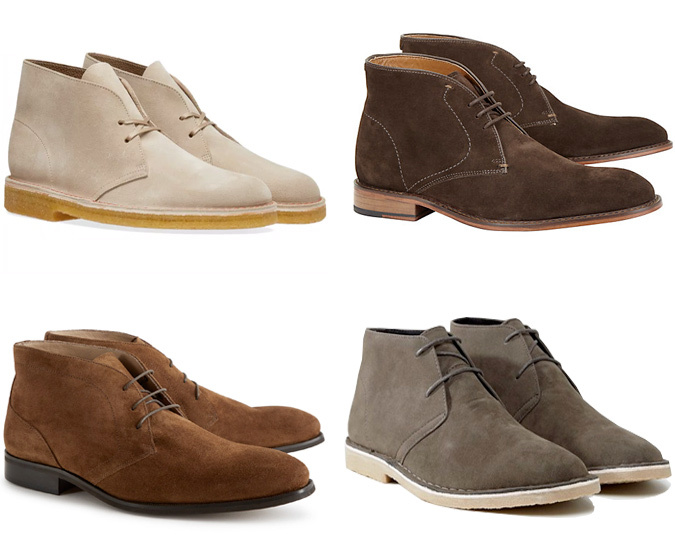 More than half a century later, the desert boot is one of the most popular and versatile shoes around. 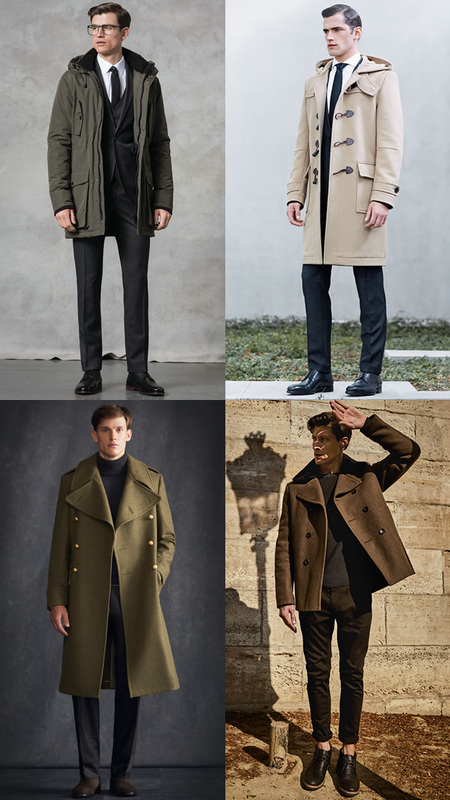 Military menswear doesn’t just come from the skies or dry land, the heroes at sea have provided civilians with countless modern essentials, including the peacoat. A product of 19th-century nautical attire, this cropped, double-breasted style made inroads into men’s fashion after World War II due to the post-war surplus and subsequent low cost. 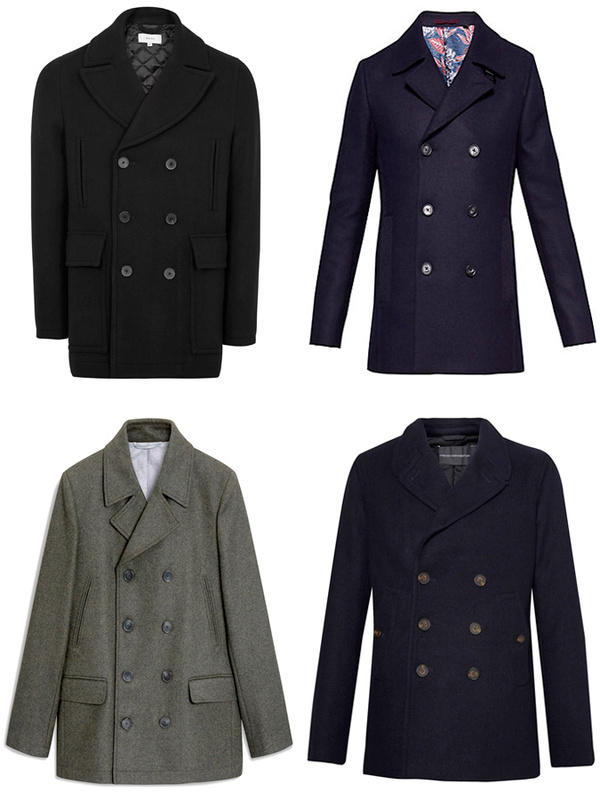 “The Navy heritage is why peacoats tend to be navy,” explains Mr Porter US editor Dan Rookwood, who suggests looking for a modern style constructed with a high wool content. “It’ll come with a higher price tag, but the investment will be well worth it. 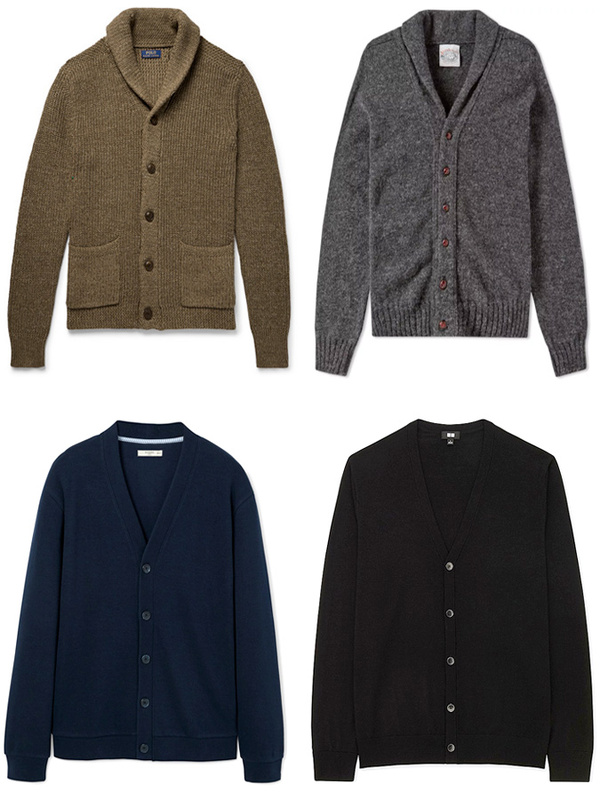 As hard as it is to believe, your granddad isn’t the originator of the cardigan. This geek chic classic also has military roots. “The seventh Earl of Cardigan, James Thomas Burdenell lays claim to its parentage, having commissioned it for British soldiers during the Crimean War,” says Gove. Initial designs were sleeveless vests loosely based on waistcoats, but designs with sleeves soon followed. The cardigan is now loved for its insulation, not only by OAPs but practically every style tribe and subculture imaginable. If you still need convincing that the cardigan is cool, Kurt Cobain couldn’t get enough of them. 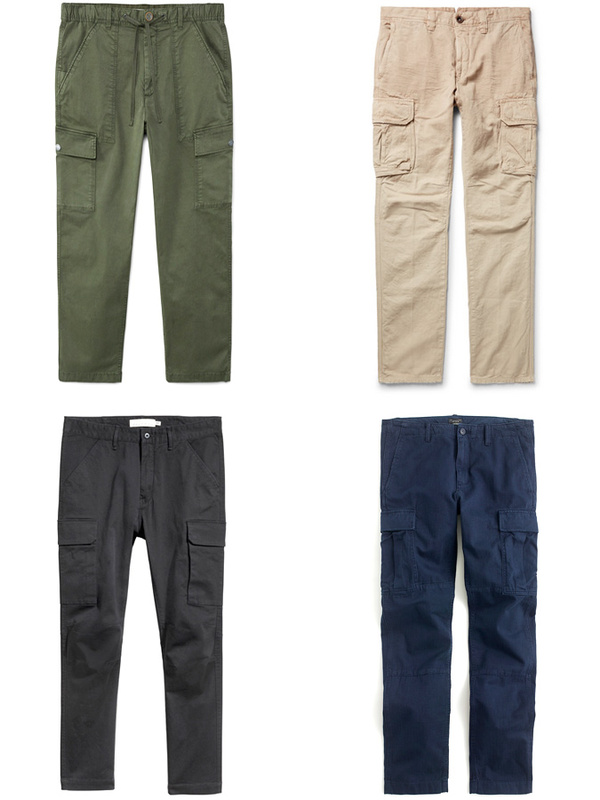 We’re sure cargo trousers came in for a tough ride during World War Two, when British forces relied on their patch pockets to hold field dressings. But that’s arguably nothing compared to what they endured during the nineties at the hands of boybands. Fortunately, these functional combat kecks have been increasing their rank in recent seasons. “Side patch pockets on tailored casual trousers have been a slow-burning trend for a while, and we’re now seeing them on the high street,” says Wilfrid. No longer the preserve of weekend dads, designers and brands have worked hard to produce slimmed-down cargo trousers that could easily sub in for trousers on more casual days. Providing they don’t zip-off at the knee. 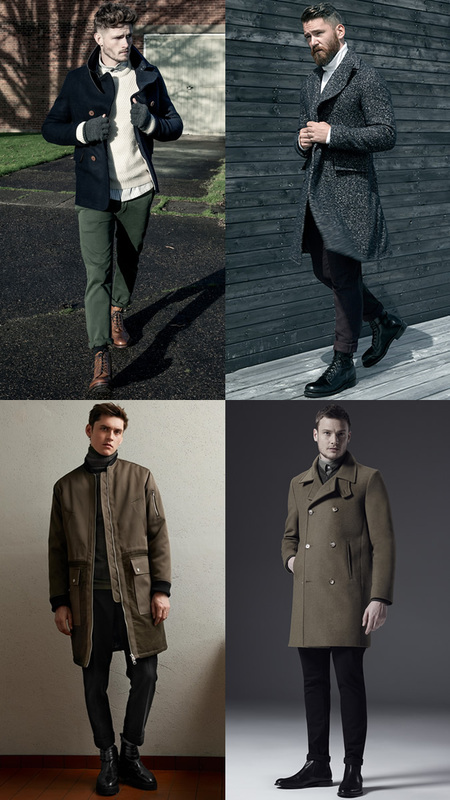 Even if a traditional military garment isn’t your wardrobe weapon of choice, you can still sign up to military style by utilising its preferred colour palette. 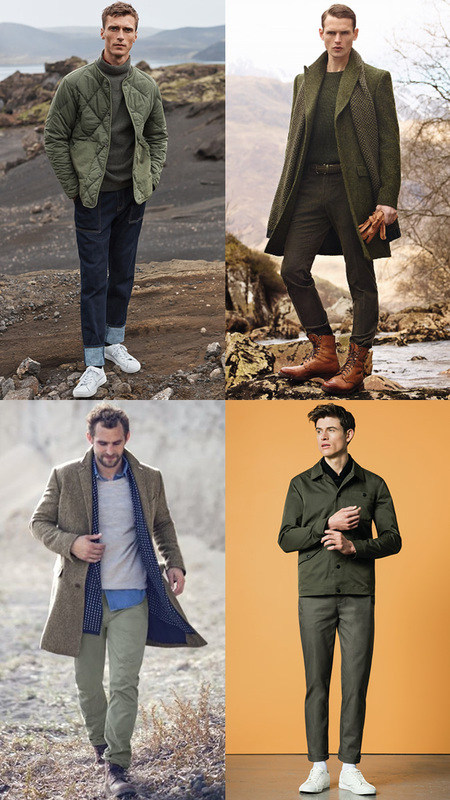 “Shades of green are a key colour trend,” says Wilfrid, no doubt because of their ability to be worn tonally head to toe, or flank everything from black denim when worn as a coat, to a suit when worn as a knitted tie. Fond as we were of our childhood Action Man figures, dressing like one in later life should never be the aim. Remember that military coats, duffles and peas in particular, can join forces with a range of other attire. 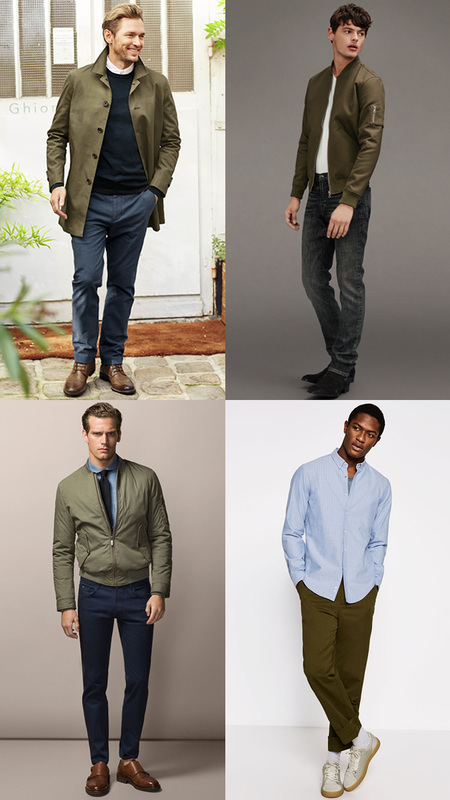 “That said, it also looks slick worn casually with dark selvedge jeans and brown brogue boots.” In short: pick right and you’ll have the armour for all-out smart offence and a more conservative, casual defence. You don’t need to be a particularly big fan of Michael Jackson (or battle reenactment, for that matter) to know that military garments can be heavy on details. Respect the functions, but remember that too much detailing can make an item look more casual. When buying new, favour examples with fewer bells and whistles to ensure they’ll work better with everything in your wardrobe. The first rubber lug soles to hit the footwear market featured a tread design called a ‘Carrarmato‘, the Italian word for tank. So it’s little surprise the hiking-inspired design would soon end up on the feet of foot soldiers. Today, rugged commando soles aren’t only a way to easily navigate rain, ice and snow, they’re also a way of saluting the forces without straying into fancy dress territory. “Recently these thick tread soles have been applied to everything from boots to city shoes like brogues and Derbies,” says Gove. “Wear them with a suit or simple trousers and T-shirt combination.” Overdoing it is your enemy here. Military men will go to extreme lengths to get their best boots gleaming, even after a 10-mile hill run in mud bath conditions. So, there’s no excuse for you to have a pair of grubby stompers at the ends of your legs. If wary about chemicals on your clodhoppers, you can use a natural leather conditioner made from something like beeswax. Massage this into the leather in circular motions whenever it feels dry to help to keep your shoes soft and supple. 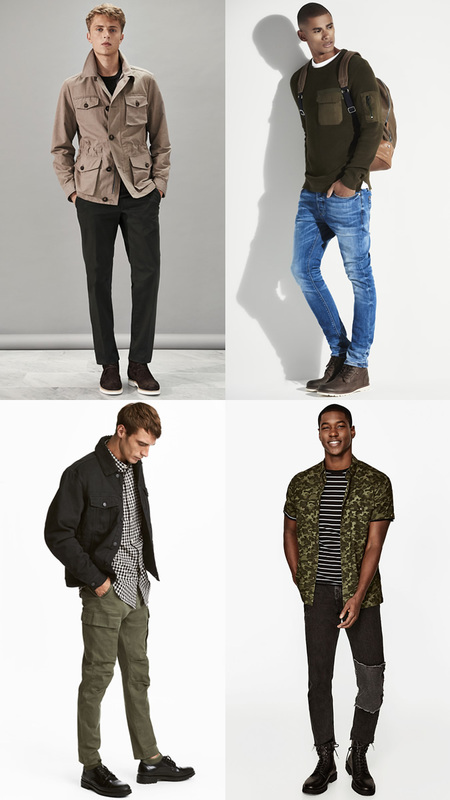 As far as military wardrobes go, it’s all about the basics. 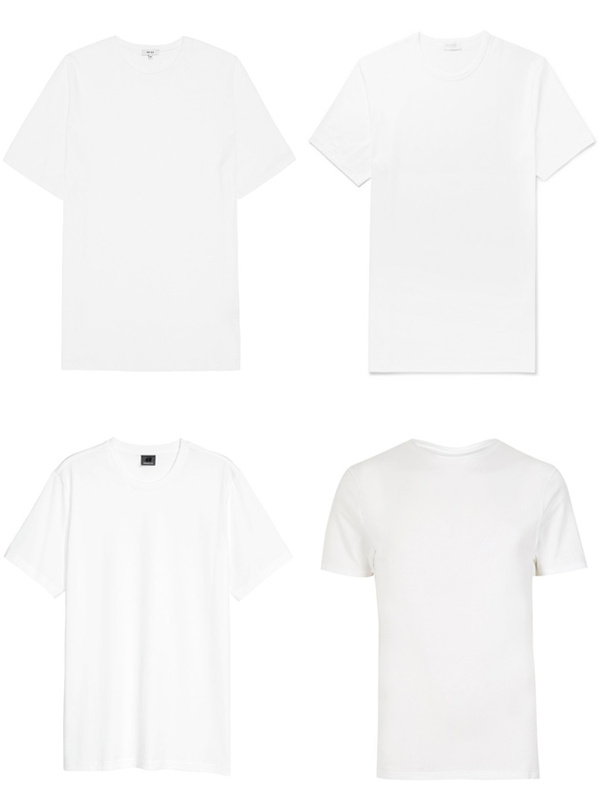 Without an army of classics like the white T-shirt, there’s no hope of advancing your style game. Cover your bases with a well-fitting white tee, sky blue Oxford shirt, grey sweatshirt, quality wool overcoat and some sturdy dark denim. A marine whose shirt-tucking knowhow maxes out at ‘shove it in my pants and hope for the best’ can expect nose-to-nose screaming from a red-faced drill sergeant. For civvies, however, there’s no such person to keep us in sartorial step. Which means it pays to learn how to do it the right way without prompt. “The military tuck refers to a technique of tucking a shirt neatly into trousers,” explains Gilfillan. “It’s achieved by pulling the shirt down and tucking in tightly before making a vertical fold at either side of the waist to get rid of any excess fabric.” With no fabric at ease around your waist, you’re good to go. Ever wonder how army guys can bolt out of bed with a second’s notice at five in the morning and still look put together? One word: organisation. 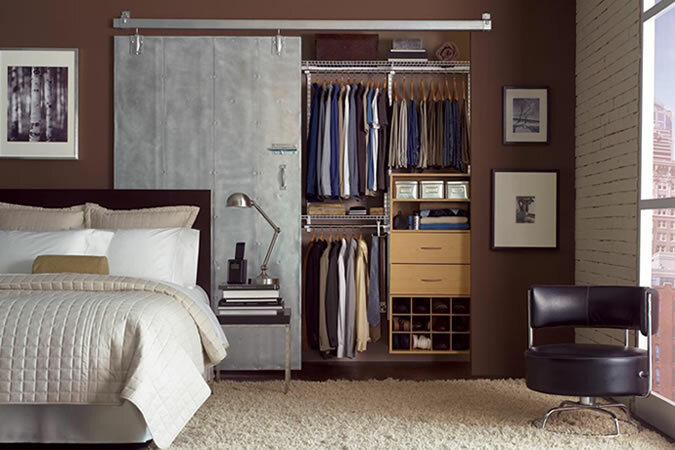 As well as this, consider ordering items in your wardrobe by type, so it’s obvious what your missing in your wardrobe and take some time at the weekend to build outfits for future reference.